When we understand something—let’s say a concept, like a table—we have some formulation of that “in our head”. That formulation is something we can manipulate while we’re thinking or conversing or acting. When we know how to use something, it’s because we have a conceptual model of that thing. 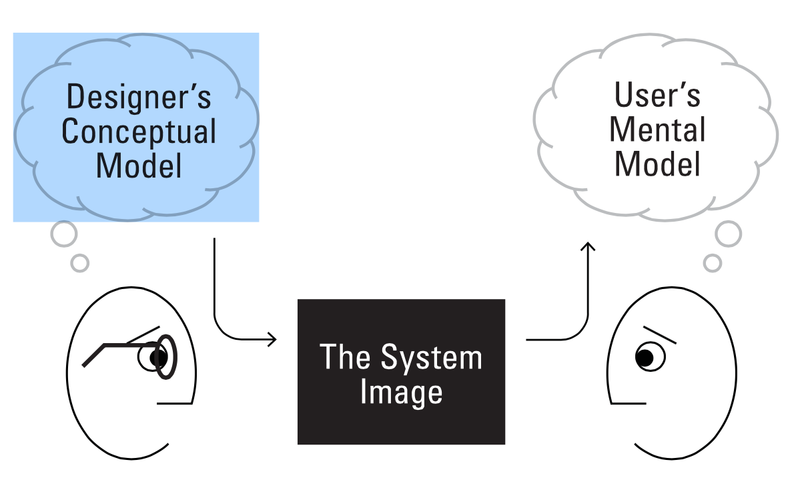 Now, if we’re designing something, we can design better if we think about the conceptual model of a person using it—the model they have before they start using it, the model they need to use it well. But here’s a great presentation about the role of conceptual models in IxD that goes into all that beautifully—lots of examples and even Steve Job’s definition of design.